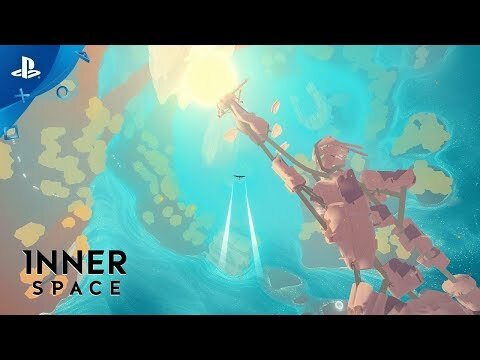 InnerSpace is an exploration flying game set in the Inverse, a world of inside-out planets with no horizons. Soar through ancient skies and abandoned oceans to discover the lost history of this fading realm, where gods still wander. Your greatest journey is within. In InnerSpace, gravity pulls outward instead of in. InnerSpace began as a project among college friends and evolved into a successful Kickstarter campaign in 2014. After years of development, PolyKnight is proud to welcome you to the Inverse. The Inverse is dying, but you’re not alone. Demigods still roam here, hoarding what power they have left, the keepers of secrets as old as the Inverse. Fly carefully. © 2017 Aspyr Media, Inc. InnerSpace developed by PolyKnight Games, LLC, published by Aspyr. Aspyr is a registered trademark of Aspyr Media, Inc., and the Aspyr star logo is a trademark of Aspyr Media. InnerSpace is property of PolyKnight Games. All other marks and logos are property of their respective owners. All rights reserved.